Celebrating people with developmental disabilities and giving them a night they will never forget. An impact that goes further than one night. "What an awesome event! 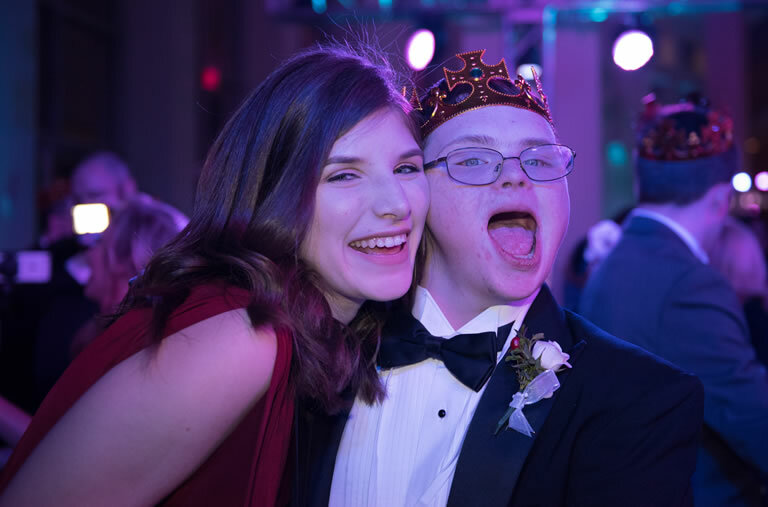 Thank you so much for acknowledging our beautiful special kids and giving them a truly special night!!" "My son has been sick and not feeling well for the last 4 days, today he was walking around with a huge smile on his face - one that had been lost for sometime now. Thank you so much for putting this together, you don't know what this means to this mom who has been struggling for a few days. Thank you!" "My pal for the evening was a delight! She arrived with her friends and we did everything together. They enjoyed it all; from getting their makeup done to flaunting their glow sticks on the dance floor. It was their night to shine and shine they did." "Many times during the event, my guest would thank me for being there for her and I would always respond by thanking her right back. And I truly meant it. If she hadn’t come out, I would’ve missed out on so much fun! I wasn’t there as a favour to anybody. It was a privilege to be there. By participating in the event, my guest had allowed me into her world, if only for a few hours, and for that, I will forever be thankful."